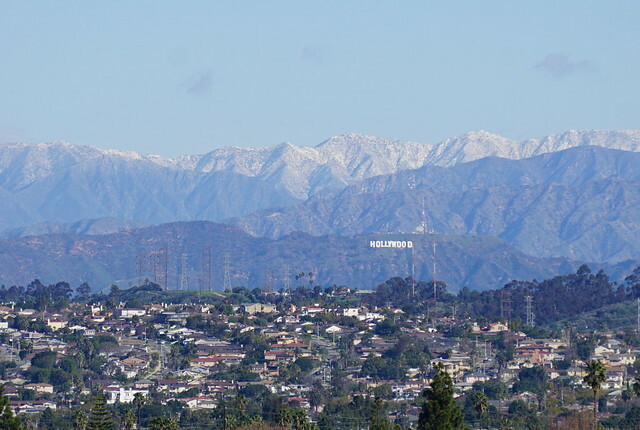 The winter storm of the past few days is over, leaving a thick coat of snow on the higher parts of the San Gabriel Mountains and a thin dusting on the lower parts, even the mountains behind the Hollywood Hills, still lingering though mid-morning. By mid-afternoon, most of the snow in the second photo appeared to have melted, and the patches on Mt. Wilson (barely visible to the left in the first and third images) had mostly faded. The next ridge back was still thoroughly covered, though! I left work just before sunset, to make sure I could get some photos of the reddish light glinting off of the still snow-covered mountains. 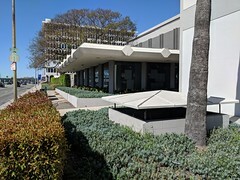 This entry was posted in Photos and tagged Hollywood, Los Angeles, San Gabriels, snow on February 6, 2019 by Kelson. 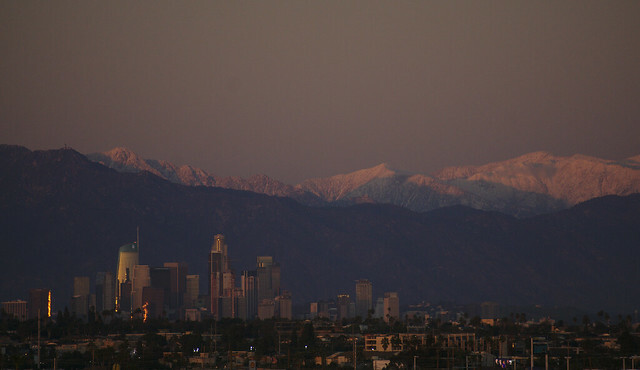 From yesterday: the first significant snow in the mountains above Los Angeles this winter, courtesy of last week’s storm. Unfortunately, it’s almost spring. The weather has already warmed up again. Last week I was wearing sweaters and a medium jacket. Today I’m back to short sleeves, and I had to put the jacket away on my lunchtime walk. And there’s not much of that snow left today. 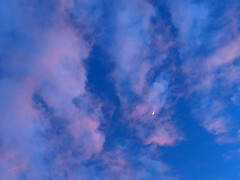 KQED has some great photos of snow in the Sierra Nevadas after the same storm. That’s more important, as California depends more on the Sierra snowpack for water during the summer. They’re expecting another storm to come through next weekend. I guess we’ll see how much snow we get. And how long it sticks around. This entry was posted in Photos and tagged California, drought, Los Angeles, San Gabriels, snow on March 6, 2018 by Kelson. Smoke rises from Mt. 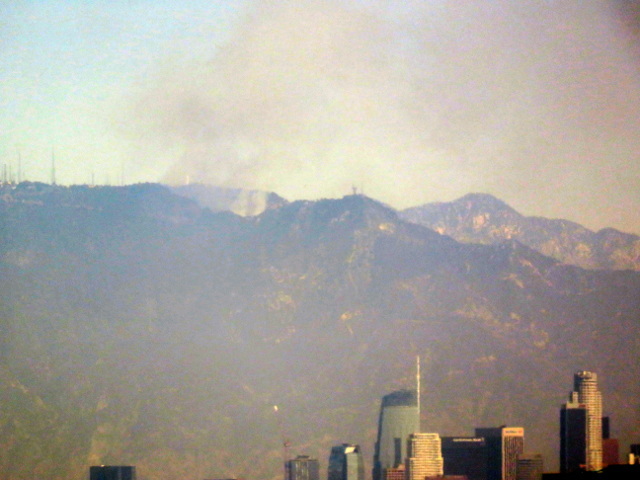 Wilson above Los Angeles on Tuesday around noon. The wildfire has threatened the observatory and critical communications towers. Today it’s too hazy to see anything but the barest suggestion of the downtown skyline, much less the mountains behind it. Not that it looked quite this clear even on Tuesday – I ran the photo through auto white balance to make everything easier to see. I’m reminded of the last time the mountaintop complex was threatened by fire, during the 2009 Station Fire… and the photos I scanned from a 1992 tour of the observatory, wondering if that had been my only chance to see it. This entry was posted in Photos and tagged fire, Los Angeles, Mt. Wilson, San Gabriels on October 19, 2017 by Kelson. 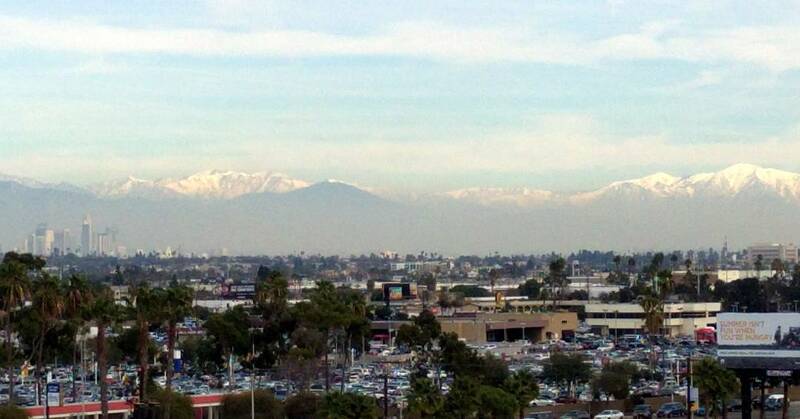 Last week’s storms actually dropped snow in the San Gabriel Mountains that lasted more than a few hours! 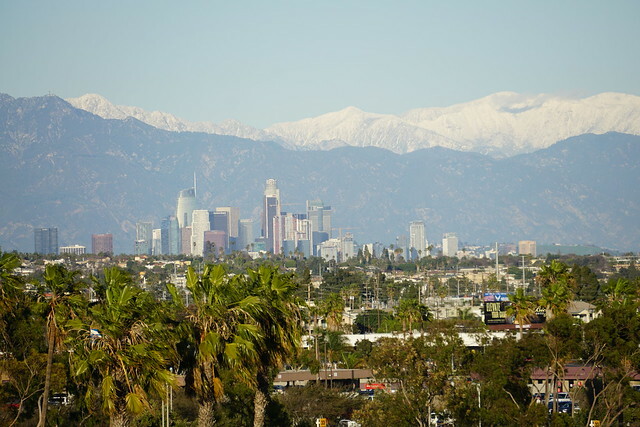 Clouds have hid them from view for the last few days, but this morning I could see snow behind the distant LA skyline, before the smog layer thickened too much to be able to tell. 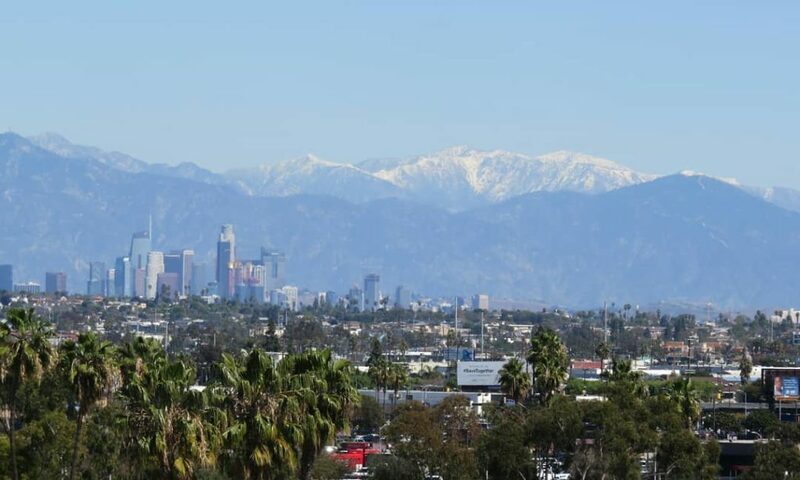 This entry was posted in Photos and tagged instagram, Los Angeles, San Gabriels, snow on January 11, 2016 by Kelson. Out of pure luck and timing during last night’s errands, I saw this amazing view of lenticular clouds over the San Gabriel Mountains, lit up red from the side by the sunset. I knew the phone couldn’t capture it, and ran back to the car for my camera. Even that came out awfully grainy, but the colors and shapes are intact. 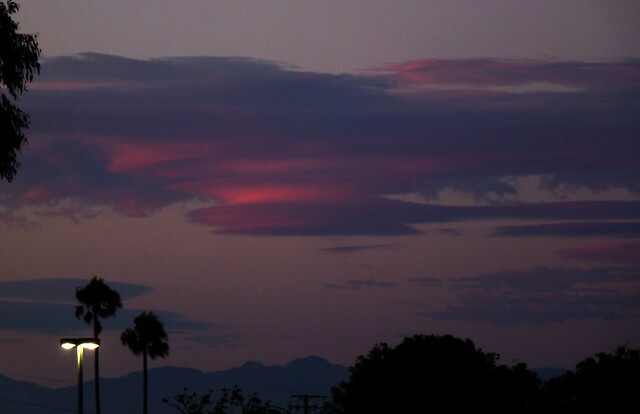 This entry was posted in Highlights, Photos and tagged clouds, lenticular, Los Angeles, San Gabriels on August 21, 2013 by Kelson.